Jlyasdi's Journey 5K/Fun Run will be held at Hallsville Bobcat Stadium. 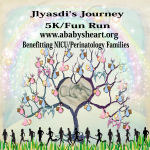 This run will benefit families in the Perinatology (High Risk Pregnancy) Unit as well as families that have a baby in the NICU. It will be a timed race with awards given to Men and Women's 5K brackets. The Fun Run will start at 8:00 a.m. and the 5K will start at 8:15a.m.. The 5K Awards Ceremony will begin at 9:30 a.m.
On Site Registration will be from 7:00-7:45 a.m. on 4-2-16 BUT ADDITIONAL $10 FEE WILL BE APPLIED TO EACH RACE REGISTRATION AND RACE SHIRT IS NOT GUARANTEED. Early Register by 3-20-16 to guarantee a RACE shirt. 2016 5K will be a new route. Prices: Fun Run $10 (includes t-shirt), 5K $25 (includes a JJ Run shirt) or $20 (does NOT include a JJ Run shirt). 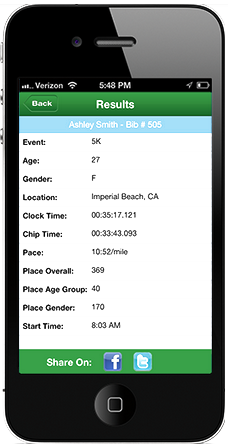 HERE'S HOW THE VIRTUAL 5K WORKS: Register for the race. We will send you a race packet with a t shirt. When March 26th arrives you can race, run or walk on a road, trail, track or treadmill. It’s all about getting out there and challenging yourself to go the distance.